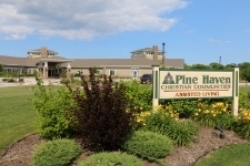 Pine Haven is seeking a nurse for our Education/Infection Control Coordinator position. It's a great chance to truly make a difference in people's lives and build an amazing career. Overall responsibility for mandatory and clinical education of all Pine Haven Christian Communities employees, including all shifts and facilities. Ensure completion of nursing skills observations & check-lists for new employees. Observations and re-educating employees as needed with written follow-up given to the individual’s manager. Monitor/oversee staff education completion in learning management system. This can include assigning courses and learning plans. Create education opportunities – identify needs and communicate with clinical leaders to prioritize and arrange education. This may include developing content and presenting material to employees, particularly clinical or regulatory topics. CBRF-required training: schedule, register, communicate & follow-up with manager & employee. Teach CBRF first aid & choking class. Monitor CPR renewals for required employees (RN, LPN, nursing home bus drivers). Coordinate training and on-going education for Mentor Program. Coordinate Virtual Dementia Tour with assistance from team members. Attend Quality Assurance Committee Meetings, review QA reports for areas of improvement and education needed. Attend staff meetings, as needed, to provide education related to clinical or regulatory needs. Provide documentation to HR for employees’ education records. Infection Control, including surveillance, education, and reports. Monitor & follow-up on employee health-related requirements and vaccinations. Organize flu shot clinics for employees. Possess a valid Registered Nurse license in the State of Wisconsin. Minimum three years experience working as a RN in a health-care facility, preferably with an aging services provider. Have an understanding of and experience with various teaching methods and learning styles. Have a passion for education and sharing knowledge with others. Strong communication skills and ability to interact well with a wide variety of people. 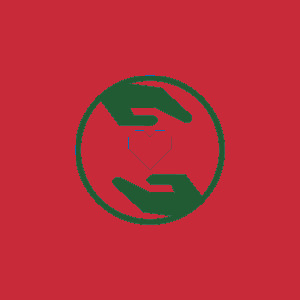 Understand, embrace and support Pine Haven’s Mission, Vision and Values.